The two armies will meet again in the second week of September when India hosts the first military exercise of the BIMSTEC in Pune. 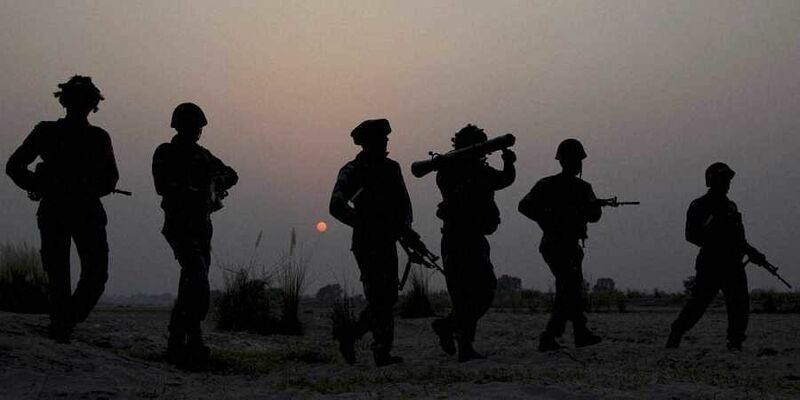 NEW DELHI: A 45-member Indian Army contingent has reached Thailand to take part in Maitree, an annual joint military exercise with the Royal Thai Army which began Monday. The 14-day exercise, which will involve joint tactical level counter-insurgency operations and handling of insurgency/terrorist issues in the urban/rural environment, is being held in Mueang, Chachoengsao Province. The Maitree series is an annual reciprocal training event, and the previous exercise was held at Bakloh, Himachal Pradesh in 2017. The two armies will meet again in the second week of September when India hosts the first military exercise of the BIMSTEC (Bay of Bengal Initiative for Multi-Sectoral Technical and Economic Cooperation) in Pune. Senior army representatives of the BIMSTEC members -- India, Bangladesh, Bhutan Myanmar, Nepal, Sri Lanka and Thailand—have already finalized the details, and each member state will be represented by five officers and 25 other ranks. the exercise will conclude with a two day conclave of army chiefs (September 15-16) from all these nations, who will review the exercise and discuss ways to jointly combat the challenge of terrorism and transnational crime. Also, the IAF has sent 4 Sukhoi 30MKI and a Lockheed Martin CJ130 to take part in Operation Pitch Black, a multinational air exercise organised by the Royal Australian Air Force which ends August 17. This is the first time that IAF Sukhois have flown south of the Equator. The exercise hosts up to 4000 personnel and some 140 aircraft from around the globe including participants from Australia, Canada, France (New Caledonia), Germany, Indonesia, Netherlands, New Zealand, Singapore, Thailand, India, Malaysia and the United States. The exercise which includes day and night flying and a range of realistic, simulated threats of a modern battle-space environment, is seen as an opportunity to test and improve force integration between the participating nations. Meanwhile, INS Sahaydri, the indigenously Shivalik-class stealth multi-role frigate, is headed home from operation RIMPAC, the world’s largest multinational maritime exercise, which ended off the coast of Hawaii last week. This was the first time an Indian ship has taken part in the month long exercise involving 26 nations, which culminated in a major multi-national amphibious landing activity. The past month has seen gunnery, missile, anti-submarine and air-defence exercises, as well as maritime interdiction and vessel boardings, explosive ordnance disposal, diving and salvage operations, and mine clearance operations.